Many homeowners are constantly looking for new ways to improve the look and value of their home. While interior changes have a time and place, exterior updates have the ability to instantly improve curb appeal and functionality of the home. Dutch lap siding is a type of siding that has gained popularity in recent years among homeowners, but what makes Dutch lap siding different from other types of siding? Dutch lap siding is a type of siding that offers excellent protection against the elements as well as a unique visual appeal. The thin planks are designed with a recessed curve at the top of each plank. That curve allows the siding the fit more tightly and securely against the home, improving the functionality and protection offered. The unique fit also offers a very traditional look compared to traditional siding which features a squared or beveled edge. The unique visual aesthetic of Dutch lap siding attracts many homeowners and can quickly make any home stand out from the rest. The visual aspects of this siding sound appealing, but what about the actual material? Dutch lap siding is made of either vinyl or hardboard materials because of their cost-effective and functional design. In previous years, this siding was made from real wood including cedar and pine. The modern materials used allows contractors to offer lower costs for their siding services and materials, while still ensuring great protection against the elements over time. Homeowners have their choice of a smooth or textured design when purchasing Dutch lap siding, depending on what look they desire. For those seeking the traditional wood look, embossed planks can be stained to imitate actual wood. From a distance, it looks like the traditional cedar or pine used to make Dutch lap siding, without the high price tag! Who is Dutch Lap Siding Right for? This siding is ideal for homeowners living in a constantly changing climate. With the season and temperature fluctuations, you need a siding prepared to handle it all. 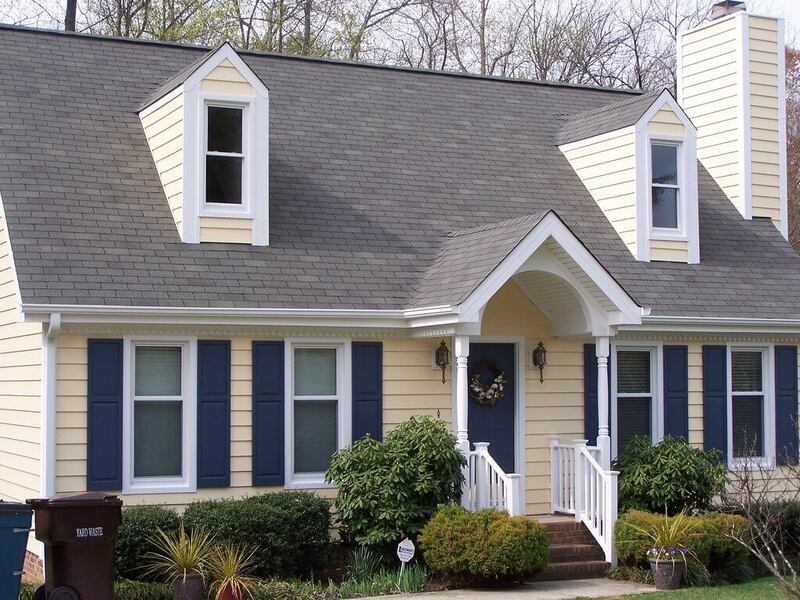 If you want to ramp up the curb appeal of your home, Dutch lap siding is right for you! Homeowners that prefer to take on DIY projects will likely be able to handle the easy installation of Dutch lap siding with no problem. If DIY projects aren’t your thing, siding services are available from many contractors to handle the installation of your new siding.